Brioche (the stitch, not the bakery item!) is all the rage with knitters. Learn how to make this colourful, squishy soft, and cozy fabric for your next project. Practice with single colour and two colour brioche swatches, then select from our provided patterns to start a simple brioche project. 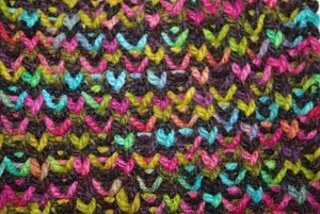 It looks complicated but once you learn how to read your stitches brioche projects are enjoyable and easy to knit. Please bring 4.5 mm needles and 50-100 grams of two contrasting colours of worsted weight yarn, a notebook and pencil to the first class.